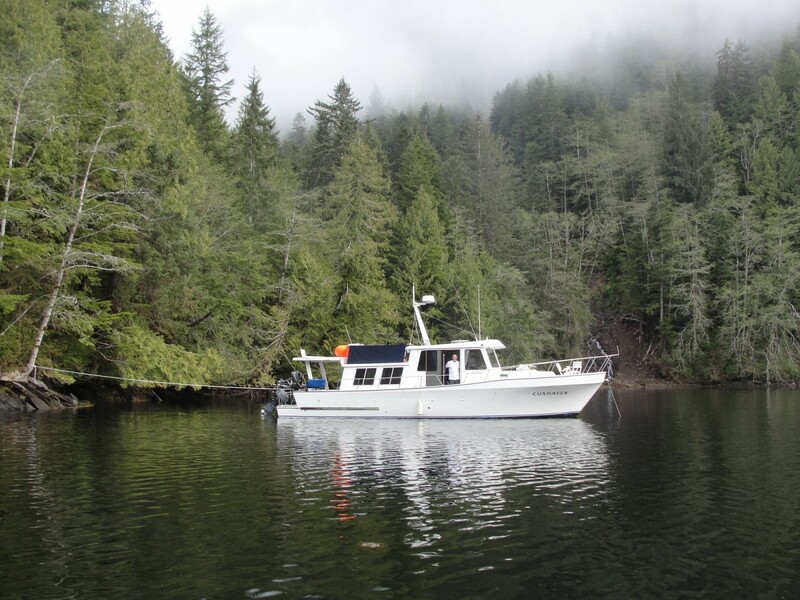 Would you like to spend a weekend floating and fishing off the shores of Haida Gwaii Islands on a yacht? QCI Vacation Homes offers the unique opportunity to cruise the northern shores of Haida Gwaii in relative comfort aboard the Cuxhaven, a 40 foot fast trawler built by Independent Shipwrights in Coombs, BC. Most of these hulls have been used for commercial trawlers on the west coast of BC however a handful were built as recreational yachts and QCI Vacation Homes is happy to be able to provide you with the opportunity to live aboard the Cuxhaven Yacht, while you enjoy multi-day fishing and sight-seeing adventures. For more information see the Cuxhaven under “Our Vessels” or contact Gary at QCI Vacation Homes to reserve your trip today.